Our colour schemes and logos are summarised in our Brand Toolkit below. Click the image for a downloadable PDF version. Union logos can be downloaded from our website. 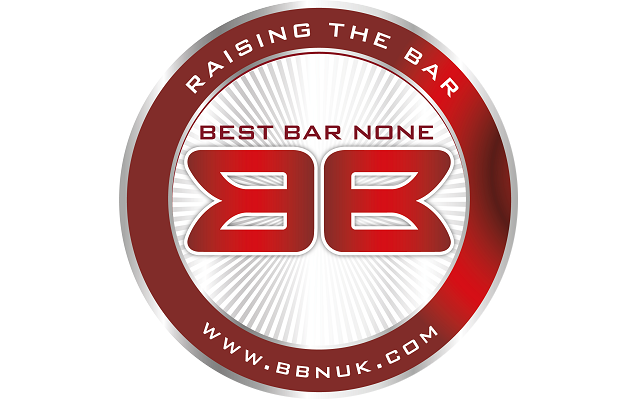 Please see the information above for guidelines on their use. 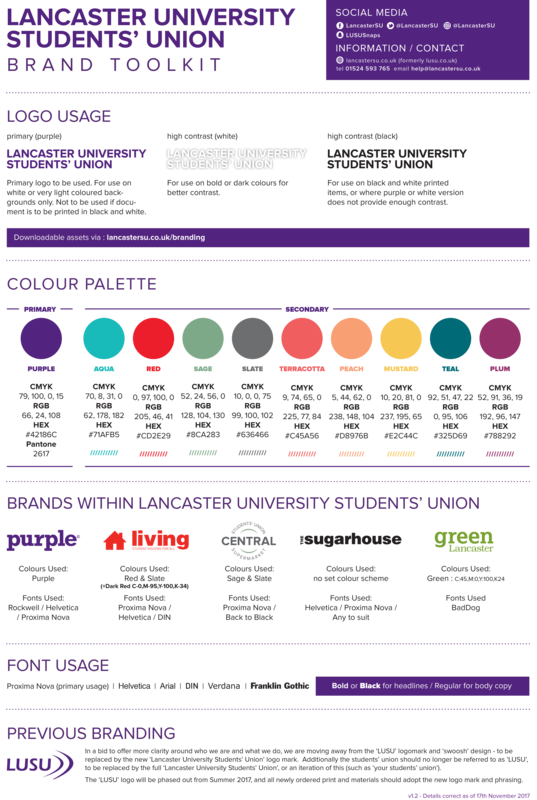 If you require logos for our commercial operations, please send your request to help@lancastersu.co.uk giving a brief outline of the intended use, and we'll get back to you as soon as we can. Our styleguide has been created to ensure consistency in our written and verbal communications. Information in the styleguide will be updated as appropriate.